Proteins, carbohydrates and dietary fats are all considered macro nutrients and each one plays a different role in keeping the body vital and healthy. Without a doubt, the single most important macro nutrient in the human diet is protein. Protein is absolutely essential for life and without it you would cease to exist. Every cell in the human body contains protein. 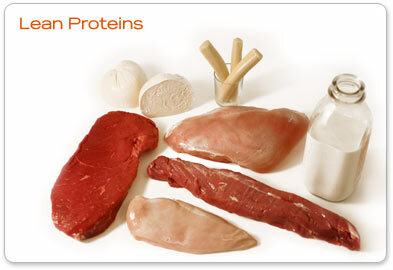 All hair, skin, muscles, organs and glands contain protein. Proteins are the building blocks of life. The body uses protein to repair and maintain itself and without adequate amounts of protein in your diet your cells and tissues could not function properly. The human body relies on amino acids to break down food. Most essential amino acids cannot be made by the body and must be provided by the food we consume. Protein rich foods break down into “amino acids” which is what is used to repair muscle tissue along with all the other cells in the body. When protein is digested, amino acids are left. Protein is also utilized in formulating hormones along with other bodily substances that are required to keep you alive and functioning well. Protein offers better glucose control in the body. Adding more protein to your diet helps to stabilize your blood glucose better as it slows down the release of carbohydrates into the blood. You don’t get that rapid glucose spike followed by crash. Instead, glucoses is released over a period of hours maintaining your energy levels long after you’ve eaten. This will depend of course on what types of carbohydrates you eat but it seems that adding protein to your meal does tend to provide far better glucose control than you would have without it. Protein helps with hunger pangs. One of the best benefits of adding more protein to your diet is that it can help with hunger suppression. Without enough protein you’ll most likely feel ravenous all day long. Protein rich foods take a long time to break down in the body and digest as opposed to carbohydrates that break down quickly and cause energy spikes followed by crashes. This keeps your hunger at bay during the day and you’ll be able to go a few hours in between snacks and meals. Protein kicks up your metabolic rate because it has the highest thermic effect of foods. Adding protein to your diet can help to speed up your metabolic rate because for every 100 calories of pure protein you consume, you’re going to burn off about 25 of them. On the other hand, for every 100 calories of pure carbohydrates or fats you consume you’ll burn off 5 and 2 calories respectively. A big difference. The more protein you eat, the higher your metabolic rate is going to be. The average recommendation for protein for the normal individual who is not in training is about 0.8-1 gram per pound of body weight. If you are heavily involved in training (breaking your muscles down on a regular basis) you may want to take it a bit higher up to around 1.2 grams per pound of body weight each day. Once you’re finished losing weight you can return back to the lower protein intake set-up of one gram per pound. Healthy people rarely need to rely on supplements to get their daily diet of protein because they eat nutritionally balanced diets that provide all the protein their bodies require. Even vegetarians can consume the daily required amounts of protein by eating a variety of plant proteins. For best results choose the leanest meat sources available along with low fat dairy products, eggs as well as protein powder. All of these provide high calorie protein without the addition of saturated fats or other chemicals or additives. It’s also important to eat a wide variety of different sources of protein as this will ensure you get a good blend of amino acids and nutrients in your diet. Protein is just one of many tools you can utilize in the weight loss war. If you’re looking for more surefire solutions for breaking through weight loss resistance if you want to break this vicious cycle and put behind you all approaches to weight loss that don’t work…I can help. “Stop Weight Loss Resistance” is your ticket to moving past the myths that keep you locked in your weight loss prison.